ANZ Bank is executing well on its strategy to address the challenging financial and regulatory environment and brokers were relieved there were no negative surprises in the FY18 result. There is no doubt the environment for ANZ Banking Group ((ANZ)) is difficult but the bank's FY18 results indicate the bank is executing well on its strategy to cope with the challenges. Macquarie considers the result credible, while disappointed with the revenue performance and balance sheet trends in the Australian business, albeit acknowledging these were offset by cost management and the bank's sector-leading capital position. ANZ's ability to manage expenses better than peers is the key component of Macquarie's investment thesis. The capital position is well ahead and the broker expects further capital management following completion of the buyback. Morgan Stanley believes ANZ has scope to adapt to the difficult operating and regulatory environment, as it has a more diversified business mix and lower exposure to Australian retail banking. Moreover, the bank has gained credibility in terms of cost reductions and an improved risk profile. A CET1 ratio of 11.4% was better than many expected. Morgan Stanley believes the excess capital position is sustainable and the pay-out ratio provides the key point of difference for ANZ. While the bank did not articulate a new buyback plan, the broker expects another buyback of over $2bn after the current $3bn is completed. However, dividend growth is not expected to resume until FY20. Morgan Stanley forecasts revenue to increase 3% in FY19 but this involves several assumptions, including 3% loan growth, a broadly stable margin, a rebound in markets income greater than 10%, as well as an end to the decline in fee income. Therefore, on balance, the risk is still skewed to the downside. Going forward, Citi asserts revenue growth is required to drive the bank's performance and this is currently headed in the wrong direction. ANZ is behind other major banks in addressing revenue growth challenges. 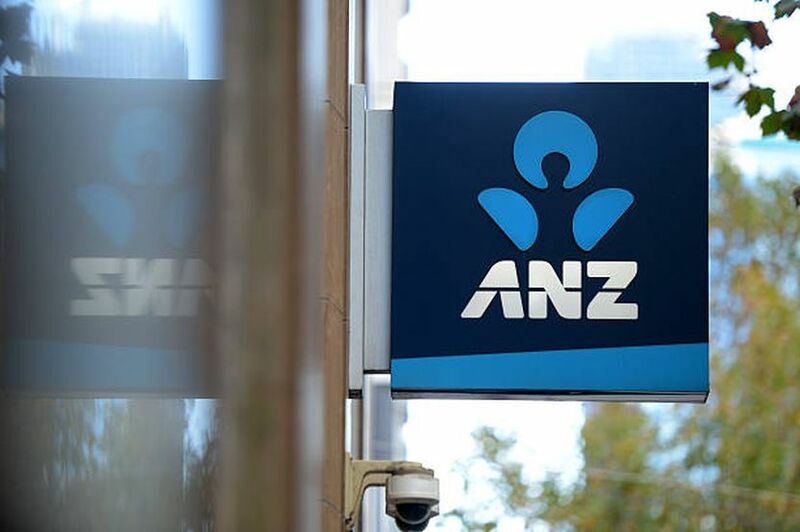 The broker believes the ability for ANZ to continue its relative outperformance is incrementally more difficult as most of the easy gains have been realised. FY18 cash earnings were $6.49bn affected by several large items including divestments, customer remediation, accelerated software amortisation and legal costs. Excluding these items, to get a feel of underlying trends, Morgans estimates cash earnings were up 2.9% and revenue down -1.4%. ANZ has reiterated an aspiration to reduce the annual cost base to $8bn versus $8.5bn in FY18 and Ord Minnett expects, if the trend to lower underlying costs continues, it would drive further upside to forecasts. The catch is, Morgans asserts, revenue will be under pressure after the bank completes divestments. The broker believes the performance of the institutional division is turning around, although returns are still substantially below the bank's target of 13%. Net loans and advances in the institutional division increased 9% over the second half, which impressed Morgans because risk weighted assets reduced by -1% over the same period. This is explained by the fact the loans that are running off are relatively high risk and new business is relatively low risk. ANZ lost market share across most parts of its portfolio and Macquarie believes it needs to improve mortgages, deposits and small-medium enterprise business for its strategy to be successful. Growth in the Australian housing book was flat half on half. Arrears in Western Australia continue to increase and new impaired assets remain higher than peers, despite total impairment expenses being lower than expected. Elevated funding costs affected margins in the second half but Macquarie expects re-pricing benefits will materialise and come to the rescue. Morgans points out that ANZ has grown its owner-occupier book at the slowest pace of the major banks over the last six months. Suspicions were confirmed that the bank slammed on the brakes in Australian home lending because of significant margin pressure, as net interest margin contracted significantly, to 1.82% in the second half from 1.93% in the first half. Morgans believes the result does not have any unexpected negative implications for upcoming major bank results, and the difficult period associated with restructuring and re-balancing the portfolio is coming to an end. The main issue for Credit Suisse is the extent to which notable items fade and allow the underlying performance to come to the fore. The broker suggests capital management will continue to be an incremental benefit for ANZ versus the sector. The broker's main take from the results is that, if mortgages are not being re-priced, margins will suffer. FNArena's database shows five Buy ratings and three Hold for ANZ. The consensus target is $29.31, suggesting 13.3% upside to the last share price. The dividend yield on FY19 and FY20 forecasts is 6.2% and 6.4% respectively.